The Museum of Contemporary Art Chicago is pleased announce its current exhibition BMO Harris Bank Chicago Works by Heidi Norton. 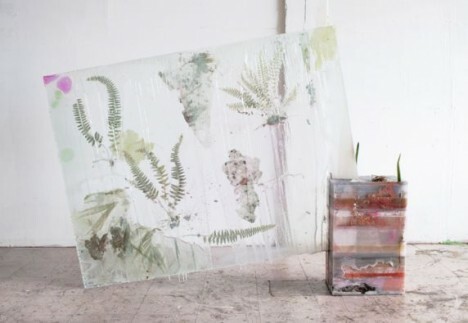 Heidi Norton captures elements in flux, often using living plants or remnants of her own artworks to create new compositions. Building up sculptures on large sheets of glass, Norton embeds common houseplants in layers of resin, paint, or colored wax. Suspended within the sculpture, the uprooted plants eventually wilt and die, their color shifting in the process. In contrast, Norton’s photographs depict plants and other found objects at precise moments, often during passing phases such as growth or decay.